I met Moni, the London based luxury handbag designer, few months ago and really wanted to feature her stunning products in one of our issues. I learnt that she wasn’t ready for that and that she was still in early stages of her new business, and handbag design process. We agreed that once she’s ready I will cover her story. Few weeks ago, however, she mentioned to me that she has a business mentor who helps her with the early stages of Pamela P, her business. Immediately I thought how interesting it would be to record these mentor’s sessions which might be helpful to any designers, entrepreneurs and new brands just starting out. How are these meetings structured and what exactly is discussed? Hence, I’m opening this “business mentoring” mini series which will hopefully take you on the journey with us. And so today I’m covering the session 2. (sorry I missed session 1.) which I joined. Moni’s mentor is Dessy who is the founder of a company called Utelier, which she set up out of the sheer frustration of the absence of a single reliable information source for production contacts within the fashion industry. She is the perfect match for Moni, since they both operate in the same market. With Dessy’s knowledge, guidance and help, Moni can get focused on each step of her product development and the early stages of her business. Session in progress: 1/ Moni’s notes and logo. 2/Moni, Dessy and Dessy’s intern analysing the design. 3 & 4/ Moni’s prototypes. 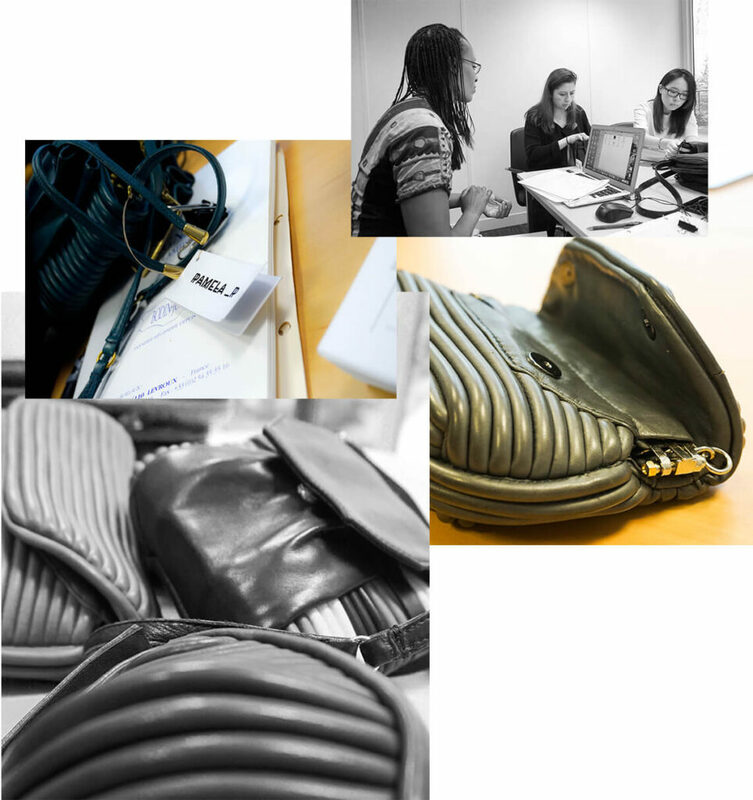 Finalising the design of each product considering materials, practicality, functionality, shape and style of each product. When designing certain elements, consider its market limitation. Test-driving the prototypes with potential customers. Ensuring that the whole product collection and offerings is consistent and complies to high quality and standards set by you. Start with a small collection of products and expand as you go along. If you have some ideas already, save them for later. Focus on getting this one absolutely perfect. Approach manufacturers, talk to them via Skype and set up a visit. Seek their expertise and experience in making your type of product. Adjust design details as required. Website design: Research other websites for inspiration. Story telling: Emphasise your strengths and UPS through story telling about you and your products. Give behind the scenes through videos, if necessary. Talk in plural, as “we“. It’s not just you. Your team might be your suppliers, manufacturers and everyone involved in the production process. Include external links for SEO purposes. Write and tell stories on your journal or blog page. Ensure you have a correct footer appropriate for your type of business. Always include copyrights, private policy and terms & conditions. Include a newsletter pop up box to start building your customer base. Website design: website is not for you. It’s for your customer. See it from their experience when they land on your website. Include some guarantees for your customer, if you are a new brand – simple and professional shopping experience, easy and no-risk returns etc. Create a very detailed customer profile. Who is she? Describe how she looks, what she wears, how she lives on daily basis. What does she do for living? What are her interests and hobbies? What movies and magazines does she like? Where does she go on holidays? What are her views and attitude towards trends, style? Dig deeper and write down as much as details as you can. Give her a name. Have a clear understanding of who she is so you can taylor your marketing message specifically to her. Have a filter: create a list of your requirements that will serve as a filter for you to assess if certain situations or actions are good or not. This can relate to manufacturing processes and standards, customer feedbacks, stockist requirements. Don’t always listen to big brand’s buyers feedback. They might be just too polite to turn you down. Listen to your gut. Have a clear vision. People can sense, if you have no focus. 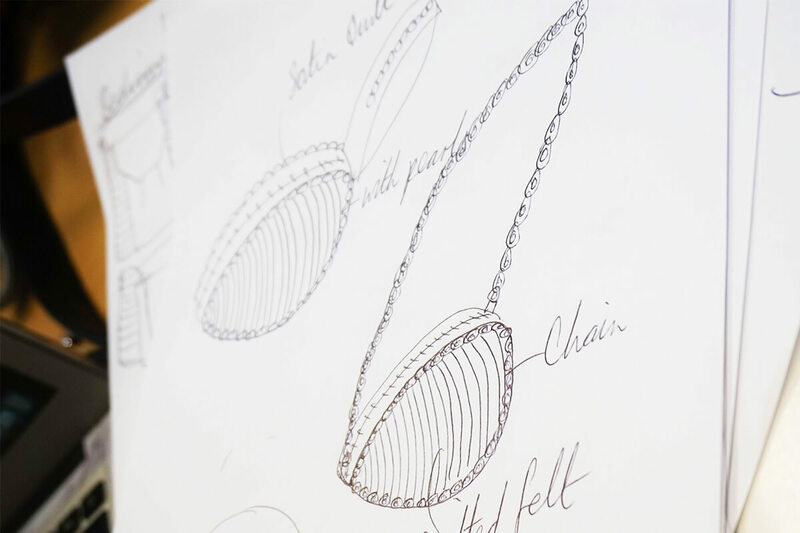 Seek your ideal’s customer feedback in every stage of your product design. Create your brand’s DNA: find at least 3 – 4 keywords. Now, even though some of these points might seem very obvious to you, I must add that as a creative person myself, we all suffer from the “wild mind” which has a massive effect on our focus. You have so many ideas floating in your head that you want to do them all. At once. Ideally. The key here is to stay focused on one project. I know it’s hard. But in order to succeed, you need to be absolutely disciplined and train yourself to focus on one goal at a time. These mentoring sessions take place once a month so I will be reporting back on session 3. next month. Stay tuned.